Try something different in North Norfolk this July. 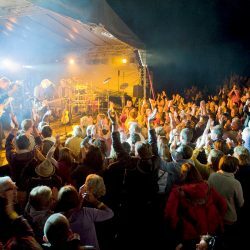 Holt Festival provides fun for everyone with a great line-up of acts. From comedy to cabaret, you can enjoy a variety of performances. Charles Pugh, 68 from Holt, is the Artistic Director of the festival. The festival has been running for nine years and is a top spot for locals and visitors. It’s an iconic event in the beautiful town of Holt, showcasing talent from all over the world. 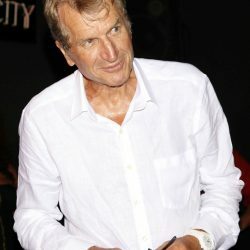 The performances take place throughout the town, and you can buy tickets for individual events. The festival offers a variety of entertainment, featuring the best in music, theatre and art. 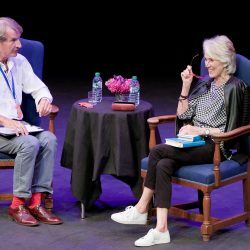 The shows feature top performers and speakers, with something to suit all tastes. “Musical performances include rock, country and western, jazz, Spanish guitar, Operatic Arias and Cole Porter classics. Many more acts will perform during the festival, providing eight days of entertainment. Tickets are individually priced for each performance, while some are free. More information is available on the website. Tickets can be purchased online, by phone, or at the box office on Theatre Street, Norwich. A range of food and refreshments are available in the town or near most venues. 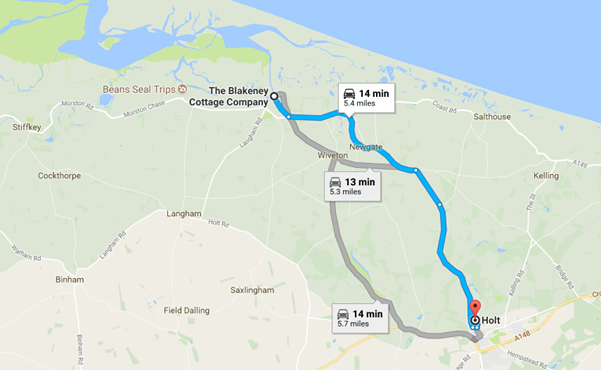 Holt is a short 14-minute drive away from The Blakeney Cottage Company HQ.